Sent plasmid prep to ASU (5uL of plasmid + 1uL of 10uM M13F/R). SJW01 = M13F, SJW02 = M13R. Top hit in the db is COX1/PGS1, and, clearly, there are differences between the two sequences confirming that we have the second isoform (COX2/PGS2). Will design more RACE primers in hopes of obtaining the full-length cDNA sequence. The negative controls (NTC) are negative, meaning they do not cross the threshold set by the BioRad software. However, there is clearly amplification in the NTCs, but they come up late enough that they do not cross the threshold and, thus, generate a Cq value. Additionally, the melt curve reveals peaks in the NTCs that are at the same melting temperature as the product produced in the cDNA qPCR reactions. This would potentially imply some sort of contamination, as Emma has experienced. Honestly, I do no think contamination is the problem. I believe that the “contamination” being seen in the NTCs is actually primer dimer. Increasing the annealing temperature (I’m not sure if Emma tried this during her troubleshooting) could potentially alleviate this issue. However, I’m not sure she’s amplifying the target that she wants to. Based on my analysis, I think she needs to re-design primers for her 3KDS target. Read my analysis and why I came to this conclusion below. It seems unlikely that two independent people (and multiple primer stock replacements!) would have contamination, so I looked in to things a bit further. 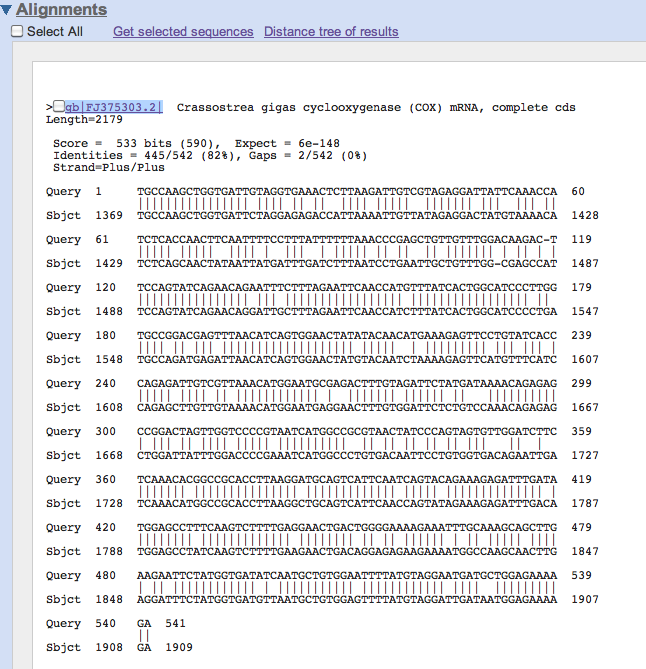 This result does NOT agree with what is entered in our Primer Database. 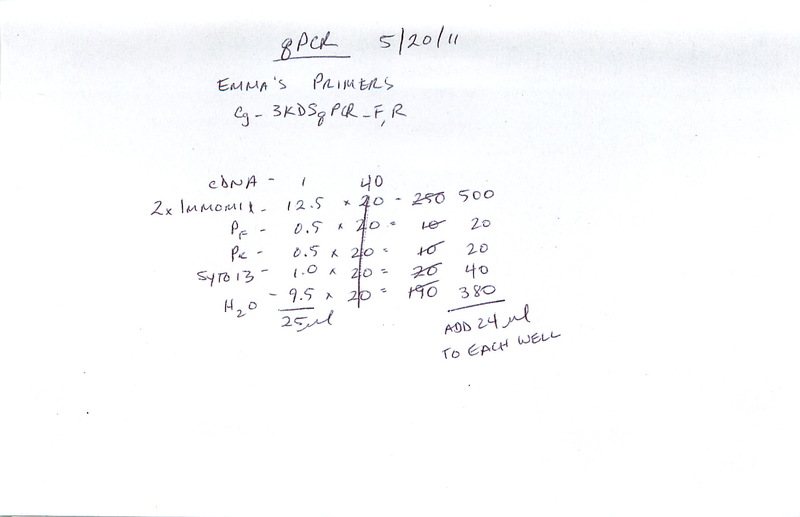 As entered in our sheet, the expected PCR product would be ~102bp. However, taking in to account the BLAST results, it would be difficult to distinguish the difference between primer dimers and PCR product in a melt curve analysis.